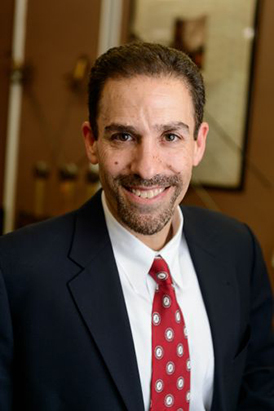 From the May 2016 Desktop News |Southeastern Conference officials have chosen Seth Panitch, professor of theatre, as the 2016 SEC Faculty Achievement Award winner for The University of Alabama. Panitch, who also serves as director of MFA and Undergraduate Acting Programs at UA, said he is both supremely humbled and honored to receive the award and to represent the University. He is one of only 14 professors across the SEC to be selected for the honor. Since 2012, the SEC has honored faculty at universities within the conference for their academic achievements in research and scholarship. To be eligible for the award, faculty within the SEC have to have achieved the rank of full professor, have a record of extraordinary teaching, and have a record of scholarship that’s nationally or internationally recognized. Panitch’s research and work in the field includes being a professor, actor, director, and playwright. He’s directed five international stage productions in Cuba, four off-Broadway shows in New York City, five regional theater productions, a feature film, and numerous university productions. He’s also written international, off-Broadway, and regional productions as well as several feature films. In 2008, Panitch became the first U.S. director to helm a professional production in Cuba in nearly 50 years when he was invited by the Cuban Ministry of Culture to direct Shakespeare’s Merchant of Venice at the Adolfo Llaurado Theatre.